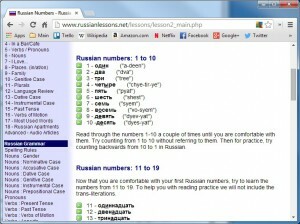 Free site like RussianLessons.net can help you get a beginning sense of the language. The basic process of learning a language has not changed but, as with many other fields, the Information Age has provided a number of new tools that can make it easier and more convenient. Many students will still want to start in the classroom or with a well-reviewed published course. In addition to these resources and various packaged software titles, there are now websites, many free, that are maintained by language experts for the purpose of sharing their knowledge with others. 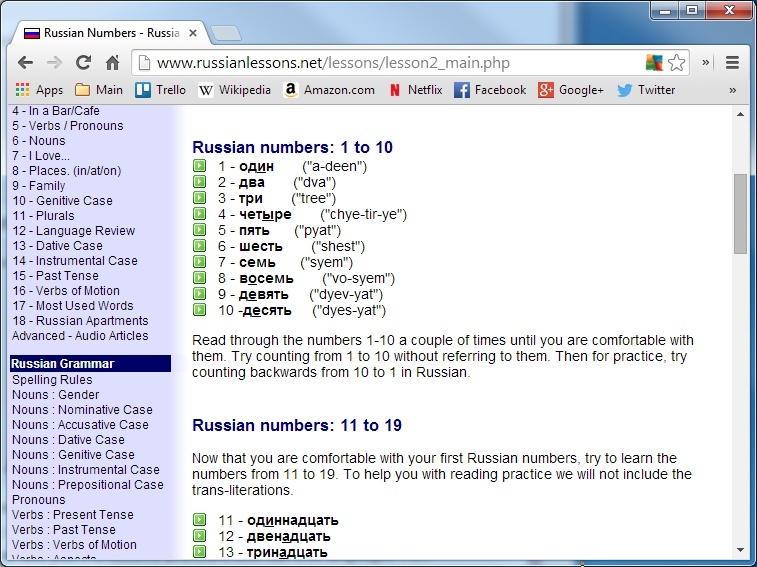 Sites like RussianLessons.net, StudySpanish.com or Babbel.com, which features courses on several languages, can provide a very helpful introduction, especially for beginners who want to get a feeling of the language and the learning process before investing money and time in a more formalized course. These sites might be basic references or full multimedia experiences that use audio samples, online games and even voice recognition to help users learn the language essentials. Of course, it’s important to check the credibility of any website or software before relying on it for information and this is especially important when learning new ways to communicate with other people. Be sure that the authors or editors of the websites are themselves qualified to teach the language and look for reviews that indicate the language style being taught. Even with traditional language resources, sometimes the style is overly formal and might sound stilted or even ridiculous to a native speaker. 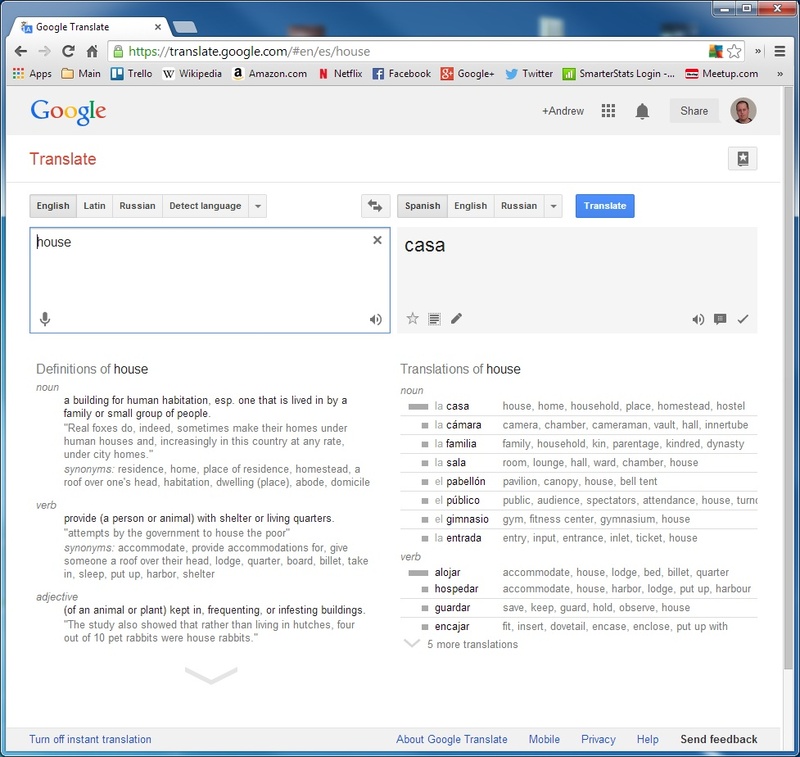 Google Translate is a handy reference for single words and phrases and can also translate sites and documents. In any modern search for resources on a subject, Google is obviously one of your best friends. What you might not know, however, is that Google has an entire free website dedicated to translating websites, documents and text samples. 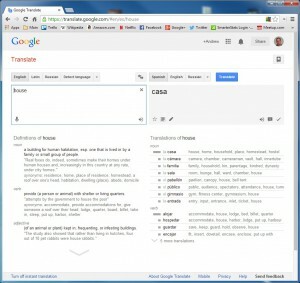 Google Translate acts almost like a universal translator, working with 80 different languages from Afrikaans to Zulu. As a computer program, it’s not always perfect in its translation and might be more accurate with some languages than others but it is a great way to get the gist of the content and a very handy reference tool for students who want to verify specific words in a language and get more information on alternate translations. Typing in a word will provide an instant translation along with an onscreen thesaurus with links to similar words and alternate meanings. For languages with different alphabets such as Hebrew, Greek or Japanese, on-screen keyboards and drawing tools enable the student to input the necessary characters. 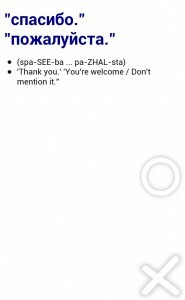 Google Translate can also help with pronunciation with a text-to-speech feature that will speak words aloud and the ability to search by speaking words into your microphone. Again, the program is not always perfect in either its speech or understanding but it’s usually a good place to start. 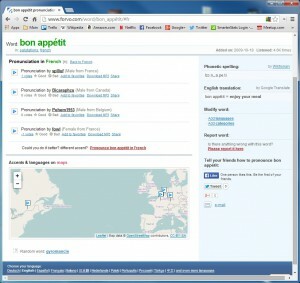 The site also allows for proficient users to improve the translations of specific words. Would you like to republish this article on your site? Please contact me directly or visit my profile on Constant-Content.com. Forvo.com is an invaluable resource for learning to pronounce specific words. If you want to refine your pronunciation, Forvo.com is an innovative website that features audio samples from hundreds of thousands of speakers all over the world. Type any word into the site’s search box and there’s a good chance that one or more of the site’s users has submitted an audio sample demonstrating the pronunciation. The word’s listing even features a map showing the locations of the speakers and indicating which accents they might be using. This is a great way to get the full sense of how a specific word should be spoken. As of this writing, the site boasts over 360,000 users from around the world with pronunciations of over 2.4 million words in 318 languages. In order to maintain the site’s quality, a team of editors reviews new pronunciations as they’re contributed. If you want to give back to the site, you can even create your own account and record pronunciations of words in your own language. Flash card programs such as iFlashCards by FreezingBlue.com can be helpful in drilling and testing on languages. One time-honored method for learning any subject is with flash cards. With a question on one side of the card and the answer on the other, the student is able to repeatedly drill and test on the subject until they become proficient. The modern version of flash cards can be found through multiple software apps and websites. A quick Google search will provide listings of apps for your computer, iPhone or Android device. With these apps, you can replace the cumbersome paper cards with electronic sets of cards that can be easily updated and accessed on-the-go from your phone, tablet or laptop. One such program is iFlashCards by FreezingBlue.com. This app is available for Android devices and the iPhone and has an accompanying website where you can create and edit your card sets, view them online and view those by other users as well. The mobile apps will sync your card sets with any changes made through the website. There are multiple formatting and editing options for card sets including the uploading of files. The card sets themselves also have multiple review options that enable the student to quickly review the material or test in-depth and focus on questions they have more trouble with. Immersion training, or making yourself use a language on a constant basis, remains the fastest way to learn. Short of moving to another country, the best way to do that is to meet other people who speak the language. Thanks to the Internet, it has never been easier to meet other people who share your interests, either in person or online through message boards or teleconferencing. Sites like Meetup.com which help people to meet others with shared interests are a great place to start. Depending on where you live, you might be able to find or even start a local group that focuses on speaking French, Spanish or whichever language you’re studying. Also check with language departments at local colleges for people and groups who might help you learn. Finally, with a little searching, you’ll find that the Internet can serve as a window to many other countries and cultures around the world. It can take just a minute or two to find foreign-language broadcasts, online newspapers and websites that you can use to practice your understanding of your new language. Short of speaking to other people, these resources can give you a feeling of how the language is actually used in everyday life. Learning a new language can be a life-changing experience. It changes a person’s perspective and helps them to understand how people in another culture think and communicate. Making the effort to learn another person’s language shows courtesy and respect for their needs and removes barriers to understanding. The feeling of suddenly understanding a language that was previously just a jumble of sounds and being able to confidently speak that language is almost magical. With the online and software tools now available to the average person, it’s easier than ever to expand your knowledge and develop these rewarding skills.